If you are in Mykonos, I highly recommend this tour. The ferry leaves from the old port in Mykonos, and then when you arrive at Delos you find your tour guide. You are given a sticker for the tour group as well as the ferry tickets when you check in with your voucher at the port. Our licensed tour guide was very knowledgeable and personable, and we learned a lot. This archaeological site is amazing to view up close. Make sure to bring water with you. Also, this tour can be very difficult for those walking with canes as there are uneven pathways and steps throughout the walking tour. After the guided tour, you have time to explore the museum and site before returning to the afternoon ferry, if you take the morning ferry to the island. Everyone except for authorized workers on the island must depart Delos by the last ferry leaving the island for the day. It was generally a good tour as everything was planned properly. The guide was okay, but not very engaging. Most likely this is the weakness of going in a big group tour. Once the tour started it was great, but the transfer from the hotel and getting onboard the boat to Delos was terrible. I really shouldn't have booked the transfer, it was late coming, and then dropped us off , with minimal instruction on how to proceed, and just as far to walk to where the ferry was as our hotel was. Not at all happy about that. Also not obvious how to get tickets to get aboard, eventually it all worked out, but with only 5 minutes to spare before the boat left. Getting off the boat at Delos again it was not clear what to do, however after a couple of minutes our guide arrived and after that everything was wonderful. I loved this tour! The tour guide was good and it was enjoyable to learn the history of Delos. Our tour guide Effie was exceptional. We had a booking for 7 people and we all enjoyed the tour. Effie was very keen to share a lot of interesting facts about Delos. Delos is an amazing place I am glad I booked this tour. The ferry trip there and back was lovely. Highly recommend. We had a great day on Delos. The tour was very informative and extensive, lasting more than two hours. I learned a lot about Greek history and mythology. It was amazing to see the frescos and the lions guarding the birthplace of Apollo. We also took the opportunity to stay and catch the 3:00 boat back to shore. Would highly recommend this tour! Tour group too large, not exactly sure where to pick up tickets, and entrance fee to museum should be included in price. Otherwise the tour was good and our tour guide was very good.  DO NOT BOOK WITH MTM! Not answering emails and neither to the phone. We were helped by the main local company that runs the Delos tours which over the unfullfilled service. The site was spectacular and the guide Maria was great, but in figuring things out we lost 2 hours that would have make it a perfect experience. Elelisa sp? was an awesome, friendly and personable guide. Her descriptions of Delos and its daily life came to life as we walked through the community. She highlighted significant aspects of the excavation and gave suggestions for further exploration on our own including the museum and the temples further up on the hill. Elelisa's depth of knowledge was evident as she explained so much that the time flew and before we were ready, the tour had come to an end. Her English was excellent. We enjoyed our tour and would recommend this guide. 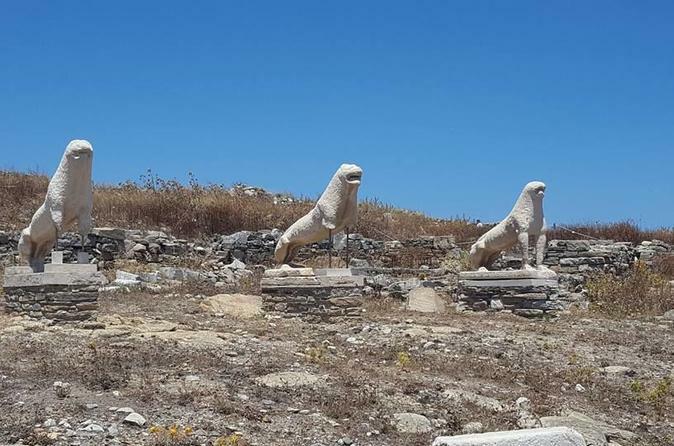 Visiting the sacred island of Delos was honestly the only reason I bothered going to Mykonos! 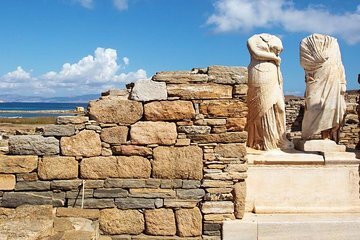 I have an archaeology background, and have been obsessed with Greek mythology and history since I was a very young child, so Delos was THE place for me to see. Delos was all I dreamed of, and more. I had no idea just how many ruins there were on the island. I wanted to lose my return ferry sticker so I could stay with the archaeologists still working there. Our guide was terrific - she had ready answers to all questions, and a good sense of humor. Definitely book this unique experience!